Get comments and reviews from usrers through this app.This app could be used to receive user comments for the products.All you have to do is just install and configure this app. However,another component has to be installed to integrate JComments with j2store. This component can be found in the joomla extensions directory. 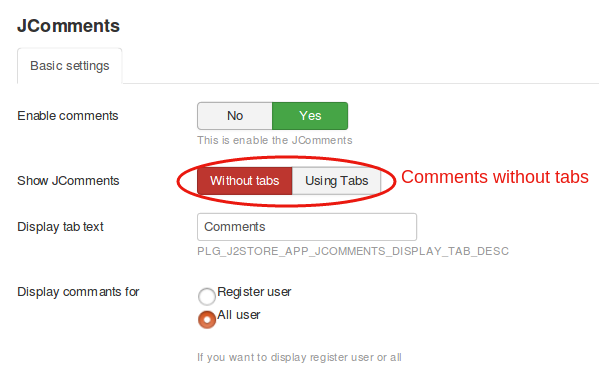 Click the Enable option in JComments app. Click Open to configure the app. Set this to Yes to enable the comments option in the product page. 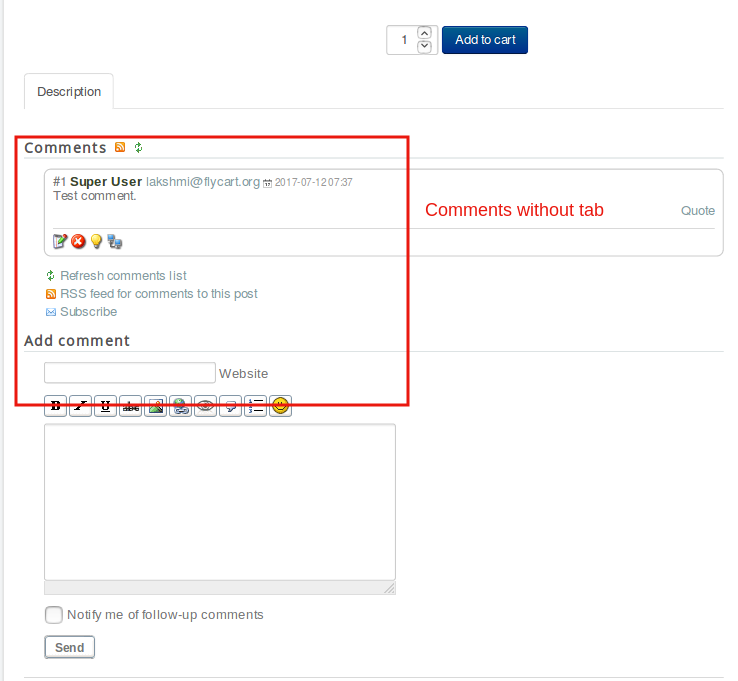 The comments can be shown in tab format or without tabs. To give a title to the comments tab. 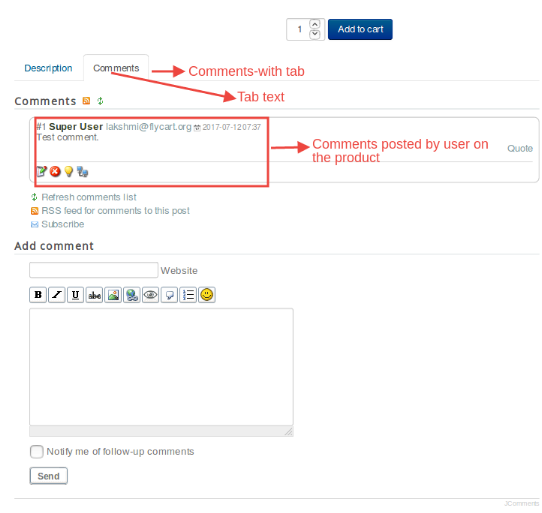 Control who can post comments on your products,All users or only registered users.